"With Matt's help, Logan has developed into one of the areas top pitchers which enabled him to be recruited by many Division 1 Colleges. Logan has recently accepted a scholarship to play at Stanford University in 2012." "Matt has been Craig's pitching coach for the past 6 months. In that short time period, he's made a real difference in his game. On his first visit, Matt began breaking down pitching to its fundamentals. He was not interested in how hard he threw; he was interested in his mechanics, focusing on the basics. Matt has taken a genuine interest in his pitching. He's been a very supportive coach and often calls him after his games "just to see how it went". Craig respects Matt and looks forward to his lessons. Craig has become a better pitcher; not only due to his strong desire, personal commitment and dedication but also from the coaching he has received from Matt. Thank you Matt!" 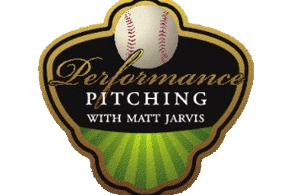 "Matt has sharpened Luke's pitching skills, his potential has grown tremendously. He has done more than just pitching lessons but has mentored Luke on attitude, grades and nutrition. This was some of the best money we have spent to date." "More than just the rudiments of pitching, Matt molded Chris into an athlete respected on and off the field. Last season alone he was approached by four different colleges vying for him to play for them. Chris has accepted a scholarship to play at Ball St. University in Indiana in 2012." "Matt's experience, attention to detail and knowledge of the game have given Chase the tools he needs to be successful and competitive at the college level. Chase is currently playing for Sacramento State University 2012." How will individualized instruction help my son/daughter? Each player learns at a different pace. Individualized instruction allows time for Matt to teach the player how to make physical and mental adjustments to their playing level. What other types of instruction are provided? Individualized programs are developed for each student. Based on their initial assessment, it may be suggested that some players follow a fitness and/or nutrition plan which will assist in the overall development of the player. What if my child is complaining of arm soreness or has had previous injuries? Matt has rehabilitated several pitchers, including himself. In 2000, while pitching for the Los Angeles Dodgers organization, he underwent Tommy John surgery, known in medical practice as ulnar collateral ligament (UCL) reconstruction. After rehabilitating for one season, he came back stronger than ever. Currently, he provides these services to several collegiate athletes. How can my pitcher throw harder? Learning proper pitching mechanics and incorporating the lower half of the body, can add 10-20 percent more velocity. Should I "stand tall and fall" or "drop and drive"
Two of the biggest misconceptions in pitching instruction. You do not want your pitcher doing either of them. Contact us at (877) 927-2210 and sign up for our baseball training program today.